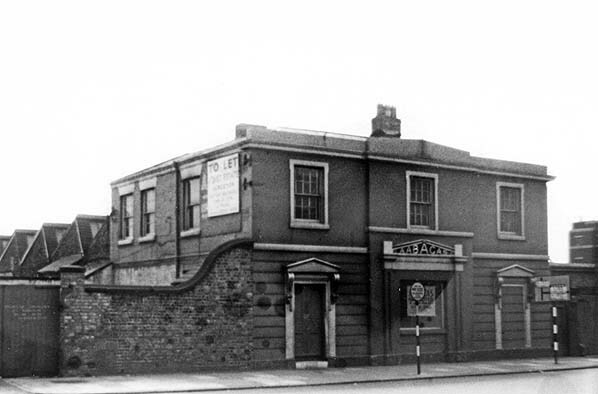 Notes: Birkenhead Grange Lane station was the northern terminus of the Chester & Birkenhead Railway (C&BR). The C&BR was authorised to build a 15-mile single-track line between Grange Lane in Birkenhead and Brook Street in Chester on 12 July 1837. Construction of the line had begun by the end of the year and an inspection train was run on 10 September 1840. An opening ceremony was held on 22 September 1840 during which a train for dignitaries was run from Birkenhead Grange Lane to Chester and back. Full public services began on 23 September 1840. Officially the northern terminus was simply called the Birkenhead station but it was referred to on timetables as the Birkenhead Grange Lane station. The main building fronted onto Grange Lane. The description of this building is based on a photograph taken in the 1960s and included below. On the street frontage of the urbane, symmetrical two-storey building were three ground floor openings, the central one serving as the entrance, and the other two might originally have been windows or doorways. Each was surmounted by a pediment, those either side being supported by remarkably large scrolled brackets. On the upper floor a sash window was placed above each of the ground floor openings. Dignity was given to the structure by rustication of the ground floor masonry, and by the slight stepping-forward of the central section of the building. A parapet, raised slightly over the central section, possibly concealed a pitched roof. To the rear of the building there was a single platform. To the west of the platform was a two-road engine shed and, to the east, sidings. During the first year there were five trains in each direction. Departures for Chester from Grange Lane on Monday-to-Saturday were at 7.05am, 8.05am, 10.50am, 4.20pm and 6.50pm. On Sundays there were departures at 8.20am, 9.50am and 4.50pm. All trains had ferry connections to Liverpool which used the Monks Ferry landing stage 1,200yd from Grange Lane station. On Wednesdays and Saturdays a ‘market luggage train’ was run from Chester to Birkenhead. The train departed from Chester at 6.00am and returned from Birkenhead at 6.50pm. By 15 December 1840 a number of passing loops had been installed along the line and the train service frequency was increased. Trains departed from Birkenhead Grange Lane every two hours between 8.20am and 6.20pm. On Sundays there were two trains in each direction. When the line was under construction the C&BR had enjoyed good relations with another company, the Chester & Crewe Railway (C&CR). The two companies had intended to work together, and opportunities would have been available for the C&BR to run long-distance services via the Grand Junction Railway (GJR). The GJR had opposed the C&BR, seeing it as a threat as it provided a link to Merseyside. On 1 July 1840 the GJR had taken over the C&CR and in doing so had damaged the aspirations of the C&BR. The GJR insisted that the C&BR had their own station at Chester and, although there was a connecting line between the systems, they did everything they could to hamper through-running. This turn of events damaged the C&BR financially. Another issue for the C&BR was the 1,200yd between the ferry terminal at Monks Ferry and Grange Lane station which hampered the growth of traffic. In September 1841 the C&BR reached an agreement with the Birkenhead Town Commissioners which paved the way for them to submit a Bill for an extension of the line via a single-bore tunnel to Monks Ferry. 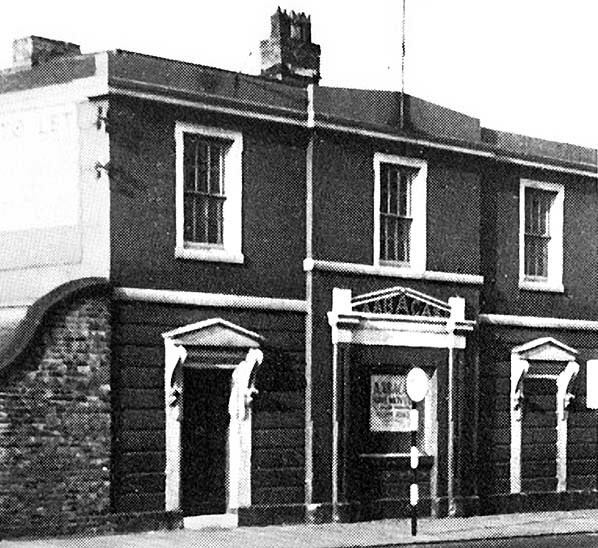 The extension was approved in May 1842 and work began in October 1843. The extension line diverged from the original 300yd south of Grange Lane station and passed to the east of it where it entered the Monks Ferry Tunnel. A new station was built at Monks Ferry which was directly connected to a ferry stage; it opened on 23 October 1844 and Grange Lane was closed. The original C&BR station was then given over to goods use and the engine shed was extended over part of it in 1857. By the mid 1870s, by which time the line Chester & Birkenhead line had become part of the Birkenhead Joint Railway (BJR), the terminus at Monks Ferry and the single-track tunnel leading to it had become inadequate for the levels of traffic. A new station was built at Woodside, and it was connected to the Grange Lane site by a double-track tunnel. The new Woodside line which opened on 31 March 1878 further altered the former station site at Grange Lane. The locomotive sheds closed in 1878 after a new facility had opened at Mollington Street. Part of the shed became a goods station and part of it a wagon repair works. On 1 January 1889 a station called Birkenhead Town was opened on the Woodside line very close to the site of Grange Lane station. The Grange Lane station building survived until the 1970s. The engine shed had closed in 1878 when a new facility had been built at Mollington Street, but it was given over to wagon repair and survived until the 1970s, latterly as an engineering works. The line to Monks Ferry closed in August 1961 and was lifted in 1967. Birkenhead Woodside closed on 5 November 1967 and the track was lifted through the site of Birkenhead Town station (closed on 1 January 1945) to Green Lane shortly after. 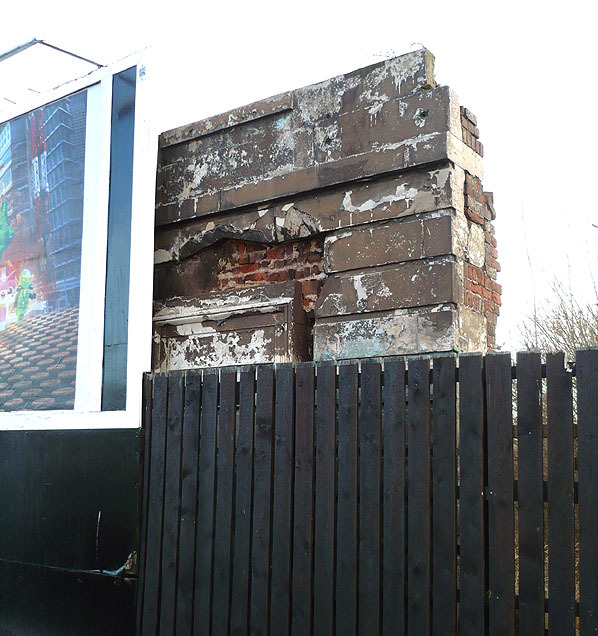 In February 2014 a small section of the original Birkenhead Grange Lane station was still standing behind an advertisement hoarding. Birkenhead Grange Lane station looking south on 22 July 1963. Birkenhead Grange Lane station shown after closure on a 6-inch scale map from 1876. Birkenhead Grange Lane station shown on an 1874 town plan after it had closed. The Monks Ferry tunnel is seen veering to the right; it carried the line down to Monks Ferry terminus which replaced Grange Lane on 23 October 1844. The engine sheds, seen to the left, had been extended onto the station site after closure. Birkenhead Grange Lane station seen in the 1960s when in use by an engineering company. A section of the Birkenhead Grange Lane station frontage seen on 10 February 2014. Looking north at the site of Birkenhead Grange Lane station on 10 February 2014. Looking south-east at the site of the Birkenhead Grange Lane station building on 17 February 2014. 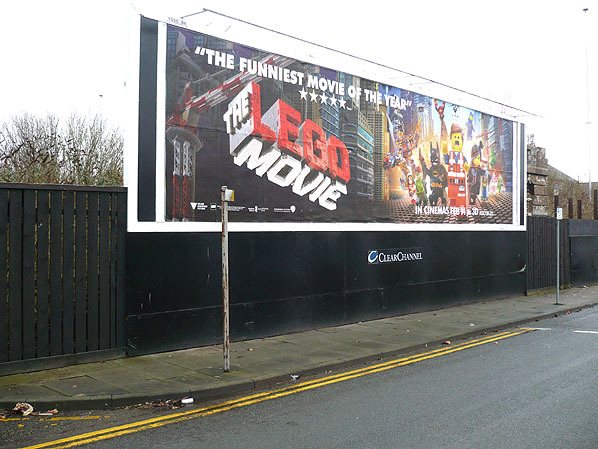 A small section of the station can be seen to the right of the advertisement.